KAPKWAI– Hailed as the mightiest of Mt Elgon’s Caves with its diversity and grandeur unrivalled, Kapkwai cave will make for you an experience that you will never forget. Cool, damp air welcomes you as you enter the narrow, low-ceilinged passageway and there is a significant drop in temperature as you go further into the cave. As your eyes adjust to the dim interior, you follow the guide through the manmade tunnel toward one of Mt Elgon’s largest caves; a gaping hole in the mountain, littered with tiny sparkling crystals, yet so mysterious. Located in a shadow of Mt Elgon bush, Kapkwai cave looks a mouth of impenetrable blackness, as you step forward, you will watch your shadow dissolve into the surrounding darkness. It is dank and the only sound is the dripping water and bat sounds. Inside the cavern, strange noise fills up the place but darkness was eternity, it was like an invisible force, crushing your body, squeezing the life out of you. Although according to Uganda Wildlife Authority, the cave was meant for the traditional ceremony of Female Genital Mutilation, a local folklore has it that people trying to escape the marauding tax collectors in the 1960s and 1970s initially used this natural formation to hide. Mr Paul Ngorok, the Mt Elgon park guide who takes us on a tour guide says the caves were also a sacred site used by Sabiny and Bugisu elders for prayers and to offer sacrifices during cultural ceremonies. “But during the Stone Age period, these were people’s houses and a cave would offer shelter for a family but later in the 1980s through the 1990s, thieves/robbers after robbing, they would also come and hide here in these Caves,” said Mr Ngorok. Mr Ngorok explained that a cave is a hollow place in the ground specifically a natural space large enough for a human to enter and that Caves form naturally by weathering of rock and often extend deep underground. 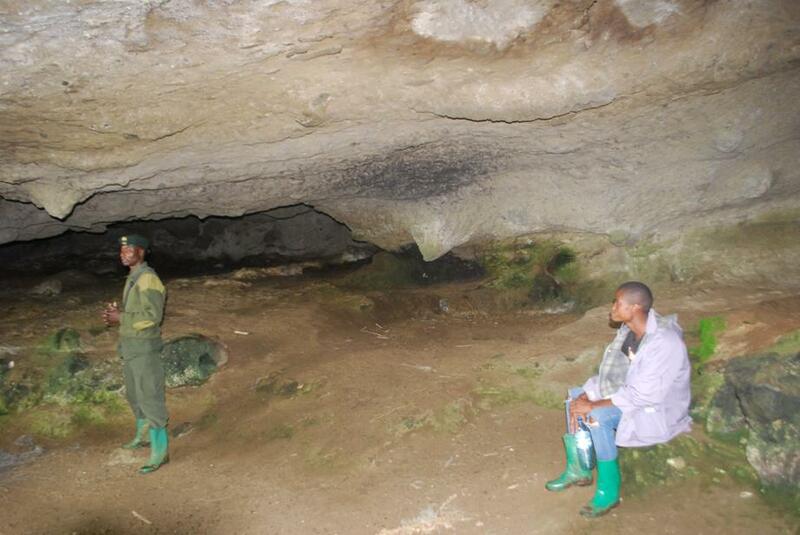 “Like Kapkwai Cave, most of the caves at Mt Elgon are deeper, their openings are wide and a rock shelter is endogene and big enough to house a family or even more,” Mr Ngorok added. Mr Peter Mbwebwe, the warden in charge of tourism at Mt Elgon conservation area said Mt Elgon has many caves that are good for tourists; just to know where the early man lived in Bugisu and Sebei and to know that even today people still go there for worship and they keep their goats there. He explained the first early hominid ever found in Africa, the Taung child in 1924, was also thought for many years to come from a cave, where it had been deposited after being predated on by an eagle. 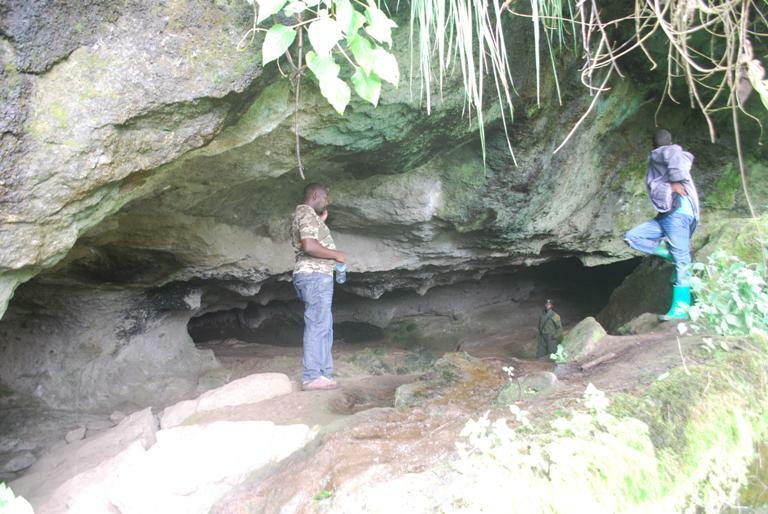 “Caves have an archaeological and importance and they are one of the most common archaeological features at Mt Elgon,” added Mr Mbwebwe. He said for those who intend to get to Kapkwai Cave, it is a 3km (Less than an-hour) mountain bamboo trail following the ridge view trail and that along the way the trail are many primates, birds and rare trees such as Elgon teak and Elgon olive. Mr Fred Kizza, Mt Elgon conservation area manager/warden who describes Mt Elgon as ‘a mountain of falls’ says Mt Elgon’s slopes are riddled with caves left by moving lava and erosion of soft volcanic deposits. He noted that the most accessible are Kapkwai Cave near the Forest Exploration Centre, and Khaukha Cave on Wanale Ridge, Tutum Cave but that there are several others both small and big at the mountain. “ Historically, Caves acted as shelters for locals and their livestock; later on they provided manure in the form of bat droppings and harbouring wrong characters in society,” said Mr Kizza. He explained that in Wanale, a visit to Khauka Cave takes three to four hours and that alternatively you the can go to the viewpoint through Nabuyoga loop where you can see Jackson’s Summit and Wagagai peak. He added that in Budadiri, short day hikes are available covering the Mudangi Cliffs, Sasa River Camp and Drigana lower falls where there are also Caves used by the local people in the 1940s and that some caves are good for bird watching and overnight camping. Mr Kizza revealed that Mt Elgon’s vegetation is banded into broad zones whose characteristics are dictated by altitude and rainfall; the lower mountain slopes are covered with dense forest and regenerating forests, hung with vine-like lianas, epiphytes and lichens. He said further that the ground is covered with a carpet of ferns, orchids and flowering plants and that the common tree species encountered in the tropical montane forest (1,500-2,500m asl) are; Elgon olive welwitchi prunus africana, Elgon teak, Podocarpus, Cedar, Cordia, Neoboutania, allophyllus tombea and Aningeria adolfi-friedericii. “And the zone changes to mixed bamboo at 2,500-5000m, the bamboo merges into open woodland dominated by hagenia abyssinica and African rosewood interspersed with hypericum a giant form of St. John’s wort,” Mr Kizza added. He said that besides caves, Mt Elgon National Park is home to over 300 species of birds, including the endangered Lammergeier. Small antelopes, forest monkeys, elephants and buffalos also live on the mountain side and that the higher slopes are protected by national parks in Uganda and Kenya, creating an extensive trans-boundary conservation area which has been declared a UNESCO Man and Biosphere Reserve. At Kapkwai, 13kms from Sipi town doubles as an educational centre for schools and the trailhead for climbers using the Sipi trail to the caldera, 3-7kms circuits run through the surrounding regenerating forest, where you can visit caves, waterfalls, escarpments and viewpoints; and observe birds and primates. This peak stands at 4,050m and is a natural pool with shallow waters. It lies in the shadow of the 4,165m high Jackson’s peak a free-standing volcanic plug rising from the western flank of the mountain. Mount Elgon’s highest peaks are formed by high points around a jagged rim enclosing one of the world’s largest calderas, at 40km long and 8km wide. The tallest peak is the 4,521m Wagagai, followed by Sudek (4,503m), Koitobos (4,222m) and Mubiyi (4,210m). The unique waterfalls along this mountain are what makes the Area Conservation Manager to describe, Mt Elgon as the mountain of falls besides the hot springs that bubble up at 4800c and gorges are some of the thrilling attraction the Elgon area offers. A range of accommodation facilities catering for both up-markets, medium range and budget visitors are available. It is advisable to book well in advance with Hotels like Wash and Wills, Mbale Resort Hotel, Mt Elgon Hotel, Sunrise Inn, Kayegi Hotel, Dream palace, Marple cottages, Lucia villas, Crown suits, Pretoria hotel and Bekasa hotel. Mount Elgon National Park lies 235km east of Kampala – Through Jinja to Mbale town at the western base of Mount Elgon, before climbing to Kapchorwa on the mountain’s north-western flank or use the Mbale-Budadiri road that leads you to the main route to the Mountain.